I’ll start with my best friend, and why I began this blog with the last line from Casablanca, said in a voice over by Humphrey Bogart. Ricardo Gallardo, Tambuco’s visionary director, came last weekend to Los Angeles from his home in Mexico City for an important visit. Jan and I spent 12 solid hours with him on Saturday, which gave us time to go from big picture to next steps. On Sunday, dinner in our home went on for 6 hours, after he visited Bill Kraft, who is recovering from surgery. Our conversations, however, were not transactional bargains about dates, fees, cartage costs, repertoire or venues. With Ricardo and his daughter Elena in Pasadena, January 2015. So if I can offer any clues to my readers interested in our thoughts and plots, most all of our time was spent discussing the history of the Americas, north and south, the nervous breakdown he sees observing the American electoral cycle, various manifestations of international corruption in Asia and Latin America (in the U.S. we legally put ours in fine print, but it’s the same thing), the reality of the Arab world (Tambuco has performed in Egypt, Lebanon, Oman and Saudi Arabia), the reason for the romanticized view in Europe and the U.S. of Venezuela’s El Sistema (he’s taught in Caracas often and has had sobering experiences, puncturing everyone’s Super Bowl balloon), and the need to increase patrimony and decrease paternalism in our musical life world wide. To survive, one has to be familiar with the landscape and environment of your habitat, before you make a plan of action. As I’ve said before, programming is not for the faint of heart! At the L&E Oyster Bar in Silverlake with Ricardo Gallardo. The other topic we discussed was practical. Ricardo came to visit us to personally discuss our meeting his many contacts in Cartagena and Bogota, an important next step. Soon Jan and I will travel to Colombia for a series of meetings with these arts leaders and composers, thanks to Ricardo’s encouragement. I’m binge reading the works of Gabriela Garcia Marquez to get ready! The idea for our trip to Colombia was hatched in my imagination during a road trip to Veracruz with Ricardo in April of 2015. As he explained it, the circle of musical culture of the Caribbean needs thorough understanding and points to a mixture of Spanish, indigenous American and African roots. A complicated list of ingredients. There is an arc extending from Cartagena in Colombia to Panama City, then to Veracruz in Mexico, on to New Orleans in the U.S., all finding completion in Cuba’s Havana. One needs to include them together to begin to understand the issues. Mom always said do your homework. A Saturday night Cuban influenced danzon in the main square of Veracruz. Ricardo joked throughout our time in Veracruz that Mexico was so fortunate Leon Trotsky arrived in the city, obviously bringing culture and joy from the Soviet Union to the sad Mexicans! 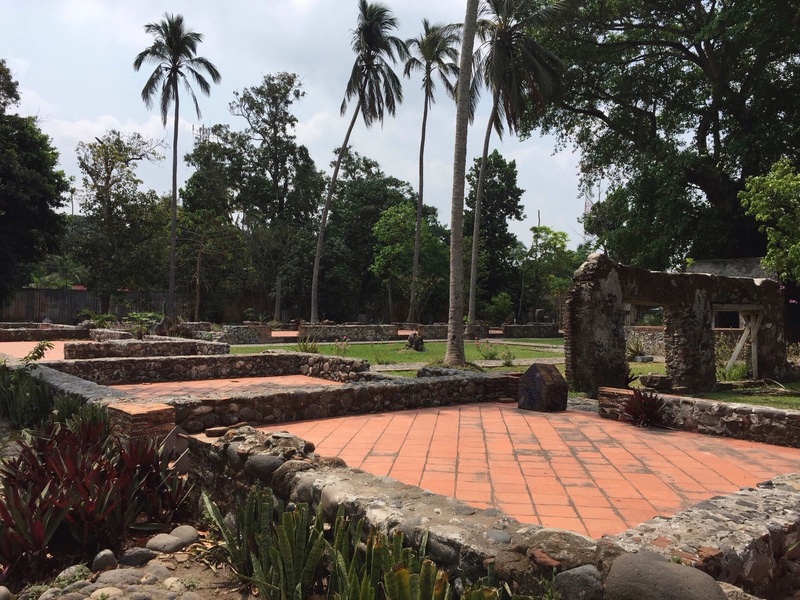 But all kidding aside, he also took us to Antigua, a little outside of Veracruz, the first landing camp of Hernan Cortes. Because Ricardo and I believe artists need to understand history before they can shape an authentic cultural vision creating inspiring projects and concerts. Antigua, the first base of Hernan Cortes in Mexico. 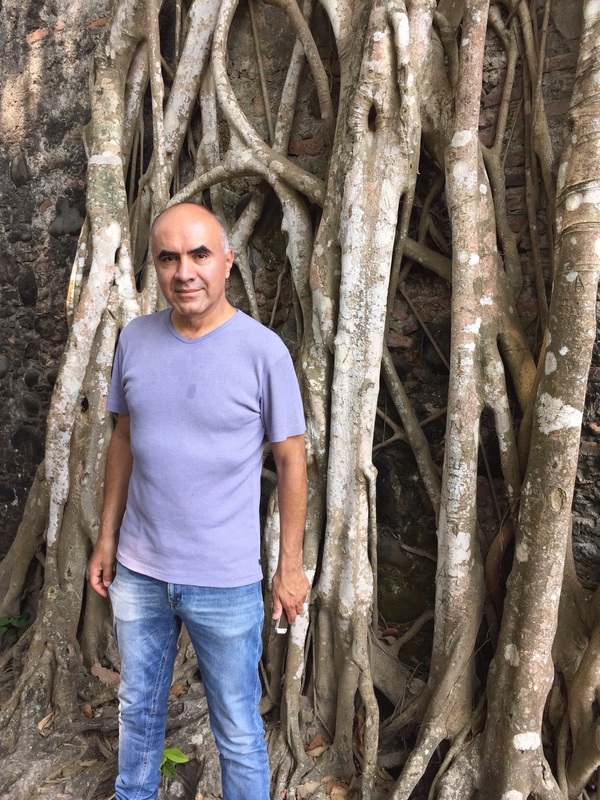 Ricardo by a banyan tree at the fortress of Cortes in Antigua. We are also looking forward to meeting a host of contacts when we are in Colombia. Going from names to personalities is essential. And we’ve already started engaging with the larger Latin American community. Here are some photos from April 2015 of an award ceremony at the Bellas Artes in Mexico City honoring composer Javier Alvarez, whose Metal de Corazones began our journey mixing my group with Ricardo’s. It’s no surprise that Alvarez lives in the Mayan world of the Yucatan, near Merida. Jan and Mario Lavista (who looks to us a lot like Harrison Ford) in April 2015. 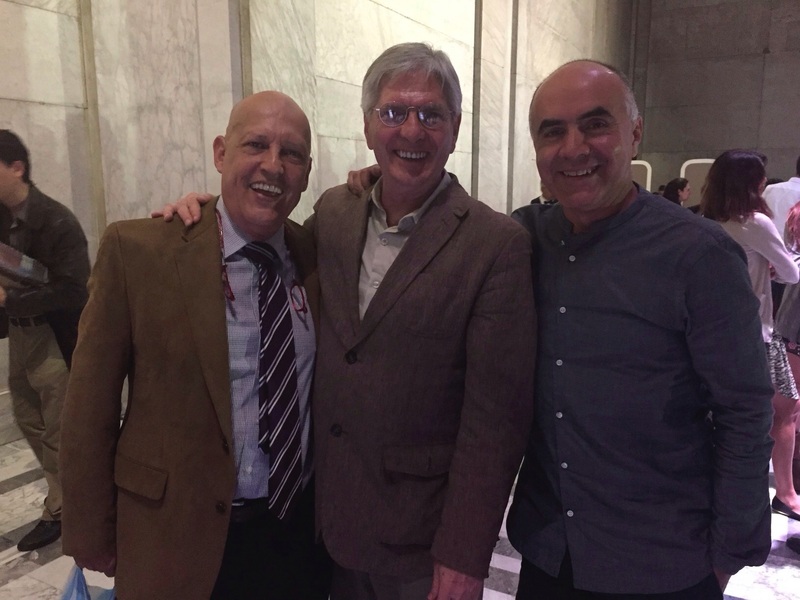 Javier Alvarez, Mario Lavista and Ricardo Gallardo last April in Mexico City. So we’re psyched to visit Cartagena and Bogota! Blogs to come! Now allow me to edit, as it were, to another part of the world as I bring you up to date on the busy time period we’re having in Pasadena. 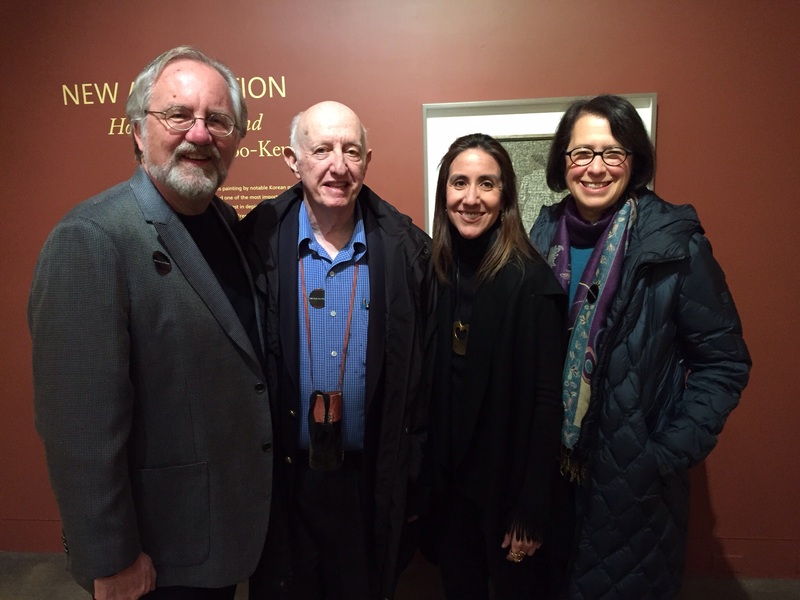 A touching, special personal reunion came our way in January. As you know from following my posts, I spent a lot of time as a student in Europe, specifically in Vienna, where the definition of “local composer” is a world all its own. And in one of the great ironies of my life, it’s my Viennese friend of 40 years, conductor/organist Martin Haselboeck, who comes to Los Angeles as the music director of Musica Angelica, an early instrument orchestra. Martin and I met as students backstage in Vienna’s Musikverein in October of 1977. We always thought that the equation would be reversed – we’d be the one’s going to Vienna, not him coming to Los Angeles! 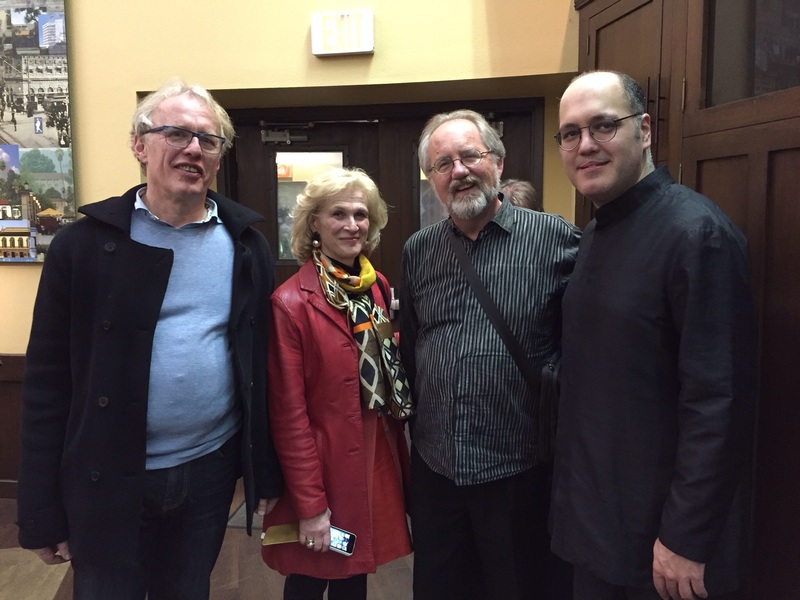 With Martin and Barbara Haselboeck and their son-in-law, pianist Gottfried Wallisch, in January for Musica Angelica in Pasadena. We discussed the future possibility of my lecturing at the Vienna Academy of Music about new music in Southeast Asia, reflecting on our decade of work in Vietnam. 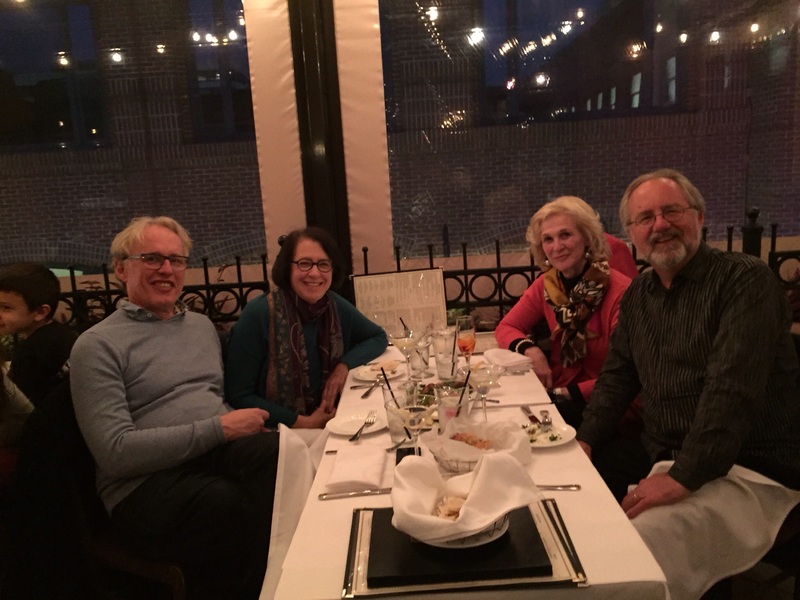 It’s a flattering outcome from the capitol city of European classical music’s heart and soul, and a place that often feels like a second home to us because of Martin and Barbara. An exciting development, to be sure! But even more to the point, we started planning celebrations of forty years of friendship in 2017 by finding special time together both in California and Austria (he has a small place in Attersee, a summer retreat area for Gustav Mahler). So I hope to combine speaking at the Vienna Academy with a celebration worthy of great friendship. And Martin and Barbara want to enjoy an insider tour to the California wine country. 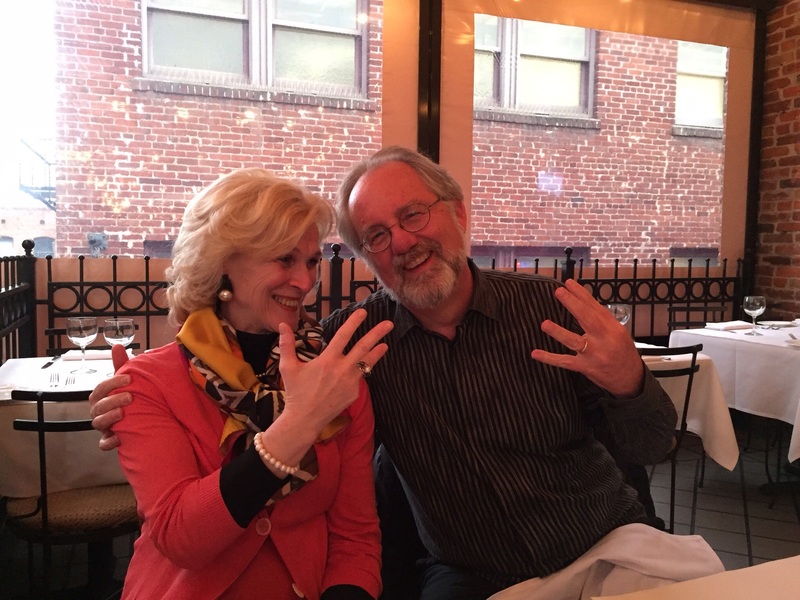 Counting to forty years with Barbara Haselboeck! Endless melody as we recall forty years of memories at Cafe Santorini in Old Town Pasadena. Best Friends Forever: Barbara Haselboeck & Jan Karlin. Vietnam, it seems, is never far away. The country has a way of inspiring ideas in outsiders, and bringing people to our home from Mexico and Austria this year. The interest and curiosity of our first concerts with the Hanoi New Music Ensemble in October/November 2015 is certainly getting a lot of attention being back in California. 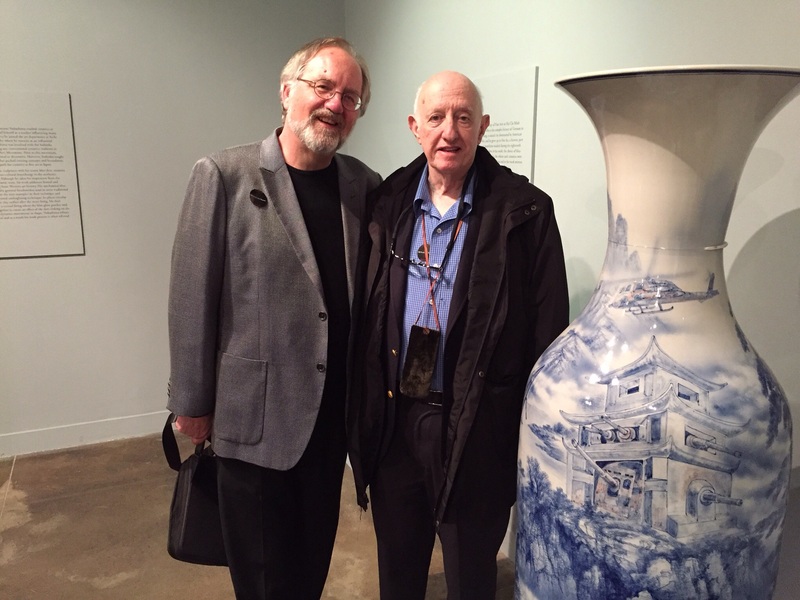 We’ve enjoyed a few meetings with Stephen Lesser, with his long experience in our Foreign Service and active role in the Nom Foundation preserving the ancient calligraphic language of Vietnam, he’s a generous supporter of our efforts. Our Hanoi friends had done a “Thank You, Stephen!” video and he finally had time to come over and see it. 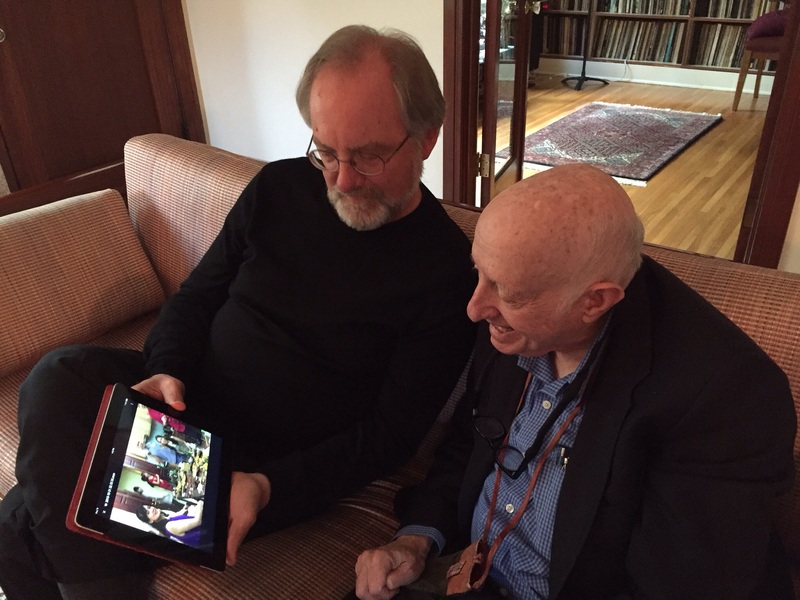 A happy video moment at our Pasadena home with Stephen. Stephen lives on the Westside of Los Angeles. He often comes to Pasadena for events at the USC Pacific Asia Museum. I’d last seen him at Lennie’s Deli on Westwood Boulevard. I’d dropped Jan off at LAX as she was going to visit her father, see her family and go into New York City to visit the young Vietnamese composer (as in under 20), Nguyen Minh Nhat, who is studying at the Manhattan School of Music (one more good reason we’re devoting periods of time to Hanoi). Jan was going to tell him about the success of our performance of his knockout work Cicadas and connect him to her friends and family in the Big Apple. 30″ of snow makes getting out of the house impossible. 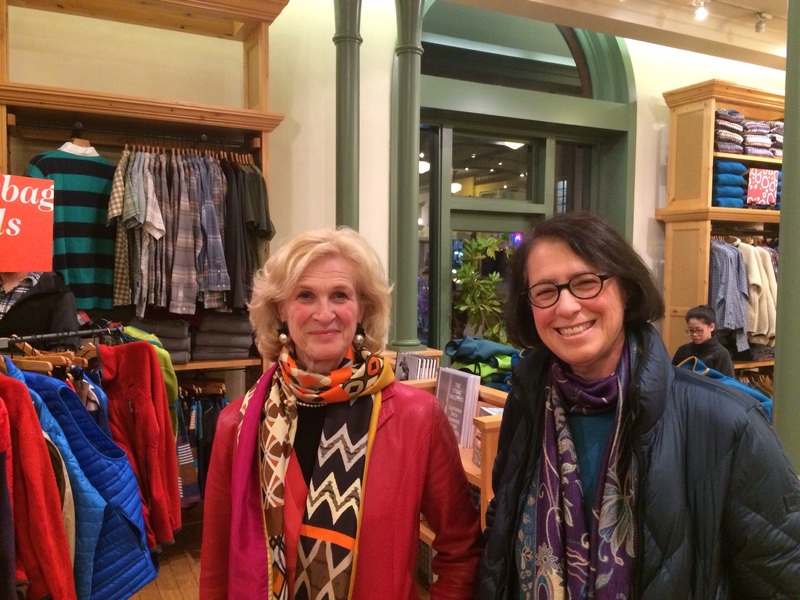 Jan looks great bundled up! Well, not every meeting happens! Her plane was the last one in before Storm Jonas dropped a whopping 30″ on New Jersey. So next trip, we’ll connect with Nguyen Minh Nhat! 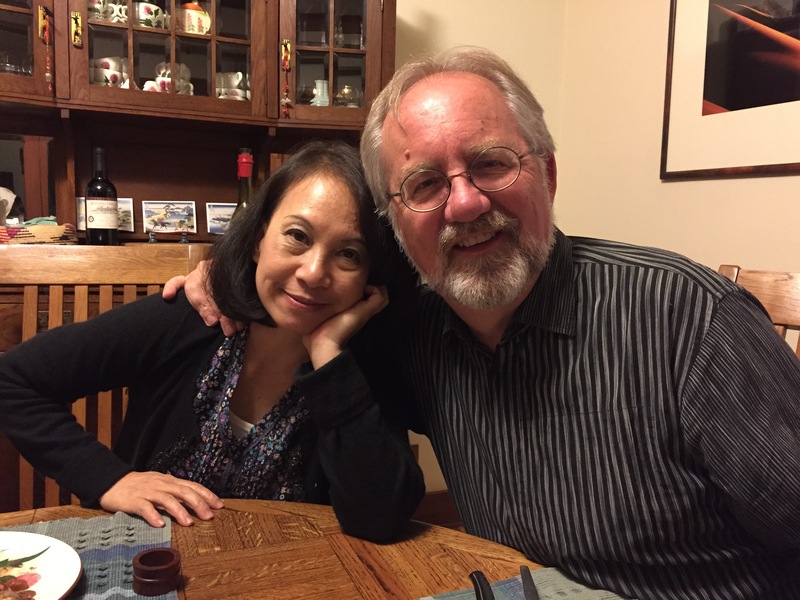 When Stephen visited our home after Jan returned safely, we were of course catching him up on all the developments in Hanoi and the inaugural concerts of the Hanoi New Music Ensemble. We then went to a lecture on Korean contemporary art at the USC Pacifc Asia Musuem. We reconnected with an old friend, Susana Smith Bautista, who works at the Museum and wanted to catch up with our experiences in Singapore, Malaysia, Vietnam, Hong Kong and Japan for obvious reasons, and we’re meeting again next week. But notice her last name, as her husband is from, drum roll, Colombia. Sometimes worlds collide. I look for facts, not coincidences. With Stephen and Susana Smith Bautista at USC PAM. Go to full screen and take a careful look at this vase by Vietnam’s Bui Cong Khanh. 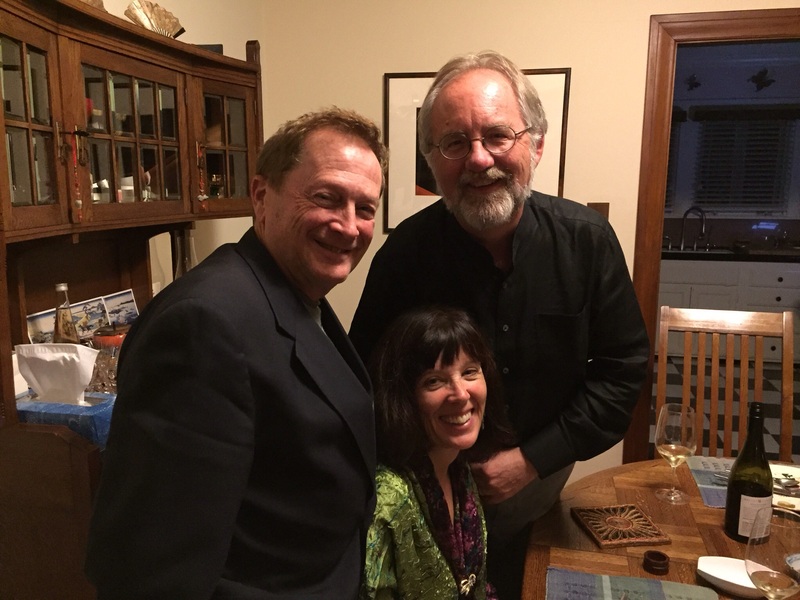 And again just this week at our home, we enjoyed a wonderful dinner with photographer Larry d’Atillio and violinist Pamela Foard, who divide their time between Hanoi and Los Angeles. They’ve been going back and forth from Vietnam since 2006. We’d met them backstage at a VNSO concert and saw them often this fall in Hanoi. He’s a noted photographer and Vu Nhat Tan had taken us to one of his exhibitions. 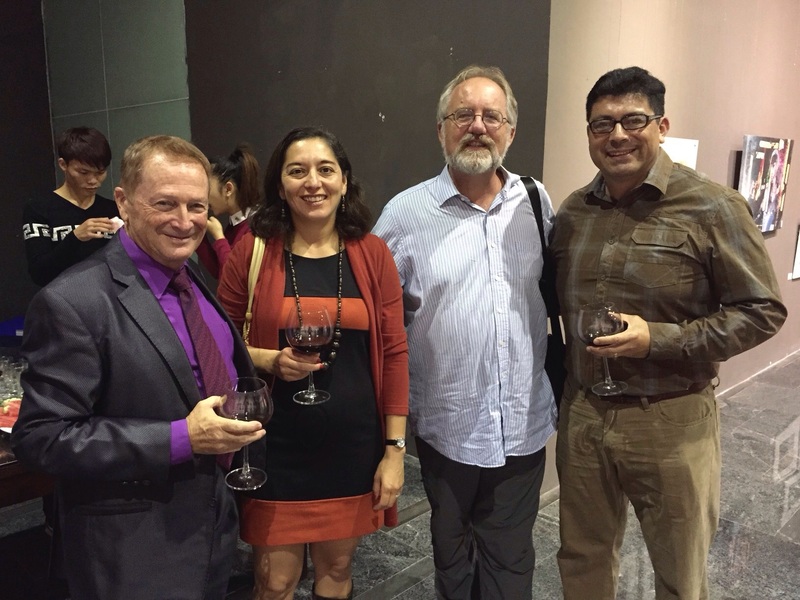 With Larry at a reception with Marcia Anglarill of the U.S. Embassy and her husband Jose Barrera. 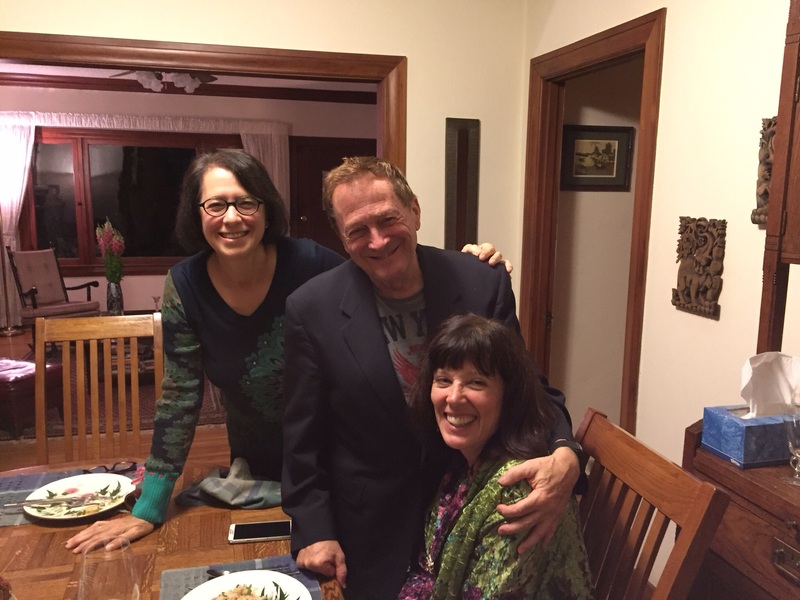 So we were happy to have Larry and Pam over for dinner to just get to know them better after our October introductions in Hanoi. 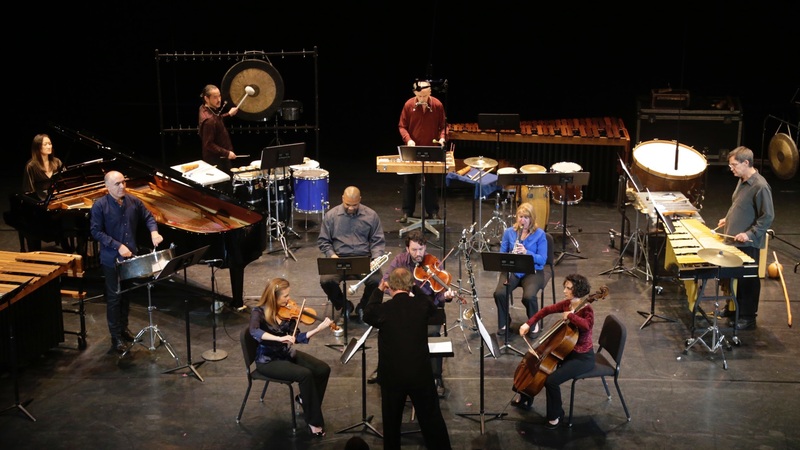 Certainly as time moves forward for our work with the Hanoi New Music Ensemble, they’ll be strong advocates, both in Vietnam and here in Los Angeles. We have a lot in common! Jan with Larry and Pam. Glad everybody enjoyed the evening! I’ve saved the best meeting for last, however. Not really a meeting, but an incredible celebration. Every December 16th, we throw a party for Beethoven’s Birthday. 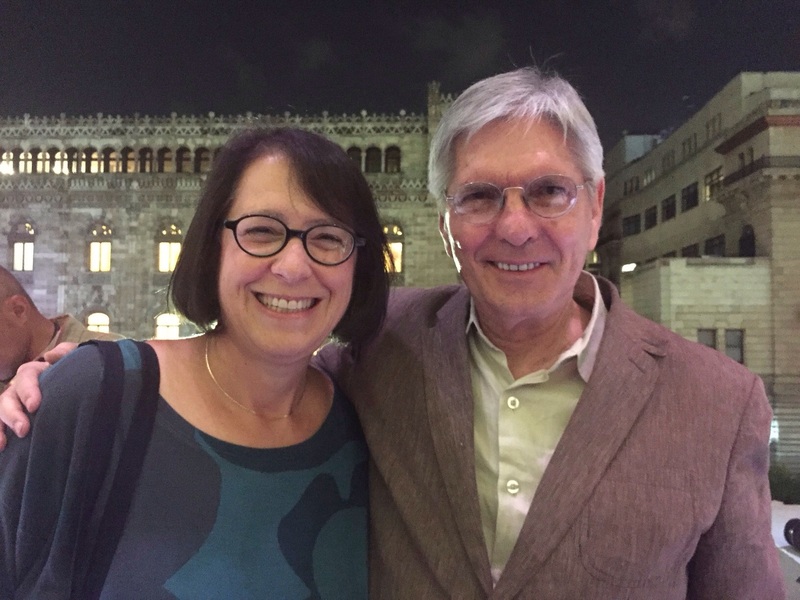 As you can see from this blog, I’ve got some of my best friends forever in Martin and Barbara Haselboeck, making Vienna a city close to our hearts at all times, a veritable second home. But this year, we had one of the best celebrations for Beethoven’s Birthday. Before we left Hanoi, one of the cellists of the Hanoi New Music Ensemble, Tuyet Trinh Dao, told me she had planned to visit friends for a reunion vacation in Santa Ana that would be the meeting place for her Vietnamese friends from Europe and Asia. California is in the middle of the world, it seems, between two considerable continents. We were happy to include Trinh Dao’s friends Thanh Thao Bui from Hamburg, Sam-Thi Nguyen from London and Nguyen Van Quyen, also from Hanoi at our home for a meal in honor of Beethoven. 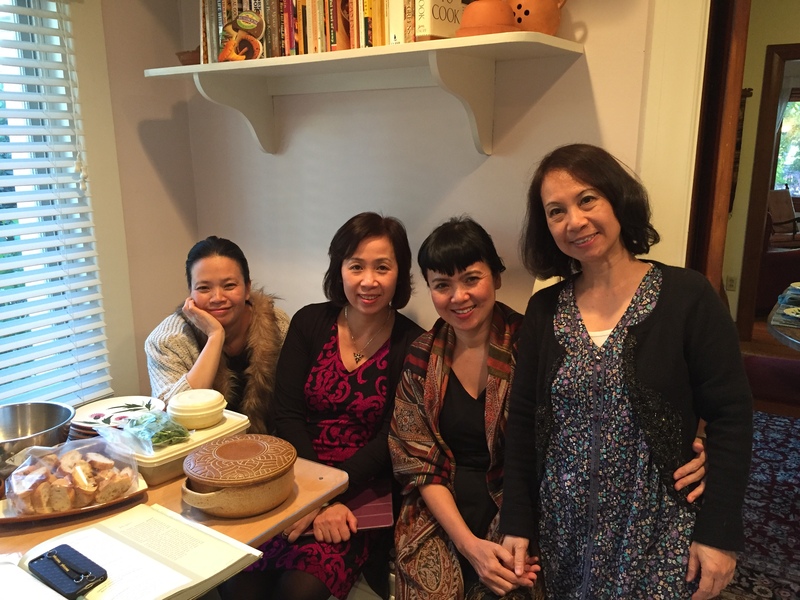 Sam-Thi Nguyen, Thanh Thao Bui, Nguyen Van Quynh and Tuyet Trinh Dao in our kitchen last December 16th. But behind a great meal (Beethoven loved oxtails, if you want to know his favorite dish, living in Vienna is good for a lot of things) there was a truly momentous reason for this visit. Often mountains move, but that motion is imperceptible. Here’s what I mean. We had brought a few pieces of Ton That Tiet, one of the Vietnamese grandfathers of new music, with us to Hanoi. He’d sent me a solo cello piece, written for Rohan de Saram of the Arditti String Quartet. A wonderful piece that, I now believe, will be the start of something big. Appropriately titled Voyage, I’ve often experienced a solo piece telescoping very big projects (there’s a programming tip, if you need one). I gave Tiet’s Voyage to Tuyet Trinh Dao backstage in my dressing room after our last concert this October in the Grand Hall of the Vietnam National Academy of Music. Her sense of pride in her country, her work ethic, her strong rhythm, her tone color, impressed me to find a quiet moment after a lot of hard work to talk to her. I’m sure she looked at Tiet’s piece and thought “Mommy!” or some such Vietnamese version of yikes. I think you can see what’s coming. Sure enough, she came up to us from Santa Ana with her cello, asking Jan for what became a 90 minute coaching session on the piece and its many challenges. I took her friends around Pasadena so the two of them could work in private. Talk about a commute – Hanoi is not exactly around the block from our Pasadena home. This has to be the most expensive lesson Jan ever taught. 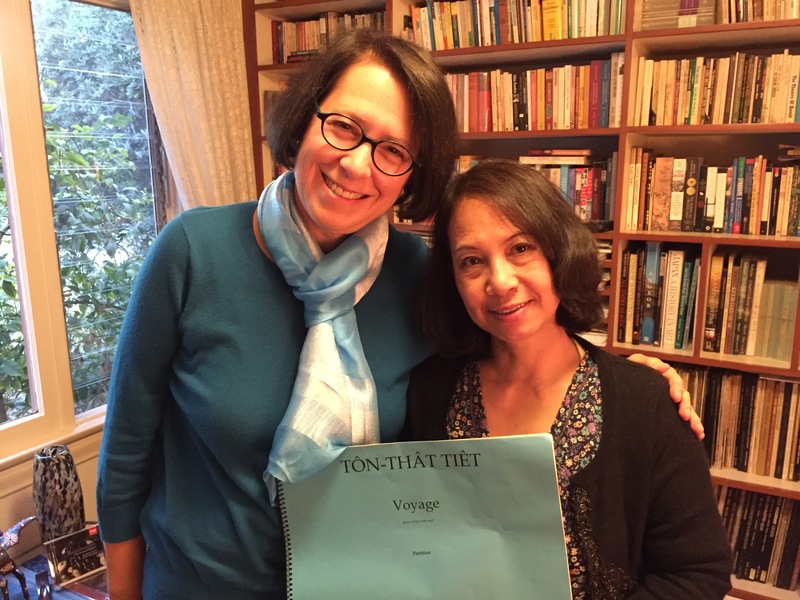 Jan and Trinh before getting to work together on Ton That Tiet’s Voyage. Success after their 90 minute working session. After Trinh and her wonderful friends had left to return to Santa Ana, satiated with a good and thoroughly Western meal that highlighted the food of our families (beet borscht, Celery Victor and my dad’s favorite dish along with Beethoven, oxtails), I asked Jan what she thought about Trinh’s preparation. The Vietnamese have taught us to adjust our inner time-clocks turning 60. Because once back in Hanoi we received the coup-de-grace of diminutive endearments. Trinh thanked us on Facebook in Vietnamese, closing by saying we are her “grandparents.” Rather than feeling older, we felt honored. Maybe this dinner celebration for Beethoven’s Birthday was not for a symphony orchestra and chorus. But when I remember this amazing experience less than a month after we were in Hanoi for the first concerts of the Hanoi New Music Ensemble, I can hear Beethoven thundering Alle Menschen werden Bruedern! And there’s Vienna in my life once again. It never truly leaves, and that’s a good thing. So to add a coda to my post, let me just say that Ricardo, Jan and I spent a lot of our Los Angeles weekend together talking about the most important ingredient in the recipe of culture, for both performer and public. If Jan, Ricardo and I were to teach a class at a university, that would be the title. Not counterpoint, nor arts management, nor statistics or development, theory or sonata form. We spent a lot of time discussing inspiration and how one brings it about. Without this spark, this immeasurable something, nothing goes very far. After twelve solid hours, we’d covered a lot of ground for sure. Which will one day be yours for the next Los Angels International New Music Festival. But pictures are worth a 1,000 words. So here’s what inspiration looks like to me. 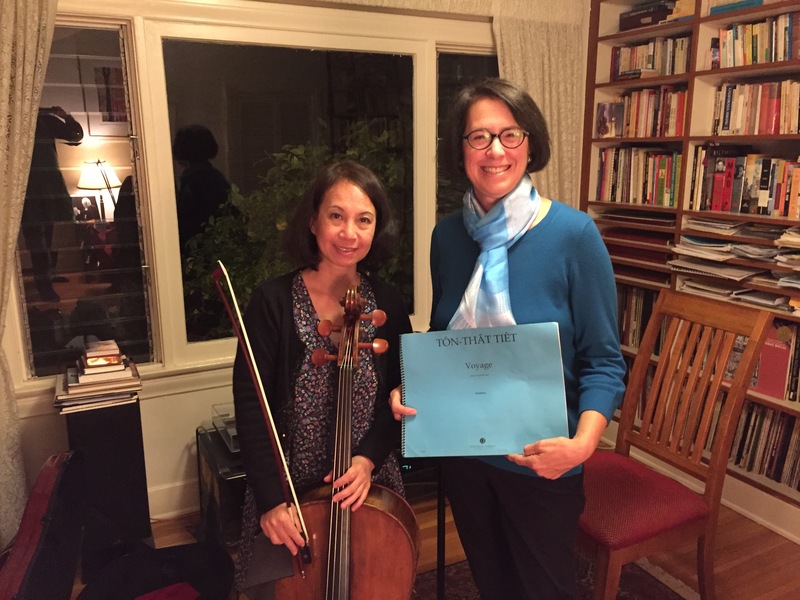 On Beethoven’s Birthday in an American home with a cellist from Hanoi traveling at great personal expense to play a seven minute piece by an exiled Vietnamese composer in Paris for the great granddaughter of Jewish immigrants from Ukraine to Brooklyn to Pasadena.